Though here have been several videos which have captured cruise passengers falling overboard from the massive vessels, it nevertheless remains jarring when such an occurrence is visually documented. The most recent case of a cruise ship passenger disappearance being captured on film occurred this week when a woman fell from a P&O ship in Australia. The woman fell from the ship as it sailed about 150 nautical miles off New Caledonia, reports News.com.au. Though the ship circled the area where the woman was last seen for hours, she was never found. 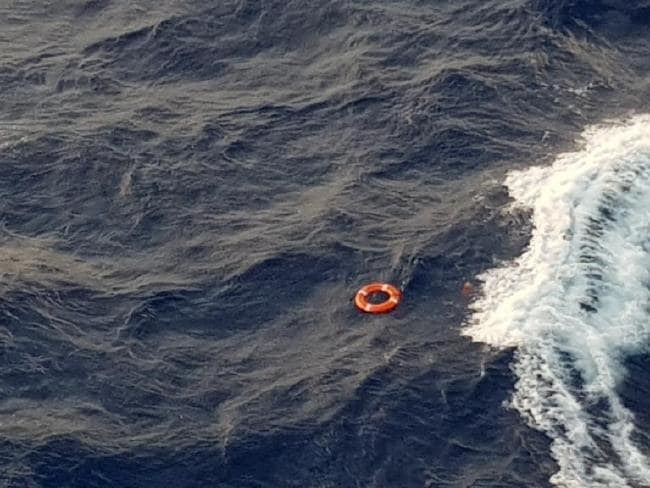 This is especially disappointing in light of the fact that the passenger went missing during daylight hours, and was captured in a photograph just feet away from a life ring. It appears that she was submerging at the time the photo was taken.